Farmers sometimes opt to lease their land to different growers. The terms of the leases, which are often referred to as farm management agreements, vary in the type of compensation farmers receive for the use of their land and the responsibilities they have toward their tenants. Crop sharing is the oldest form of a farm management agreement. Farmers provide their land, and tenants perform all the necessary labor. The cost of seed, fertilizer, pesticides and other supplies are split equally. Profits from crops also are divided equally between the landowner and tenant. Farmers also may rent land for a set price and take no role in providing supplies or equipment. They also have no interest in the profits from crops. Other agreements call for hiring a manager who is paid to plant, tend and harvest crops. Landowners are responsible for all expenses, and entitled to all profits. Farmers tailor management agreements to suit individual business conditions. Land used to grow highly profitable crops may call for a larger return, sometimes 70 percent, to the landowner. 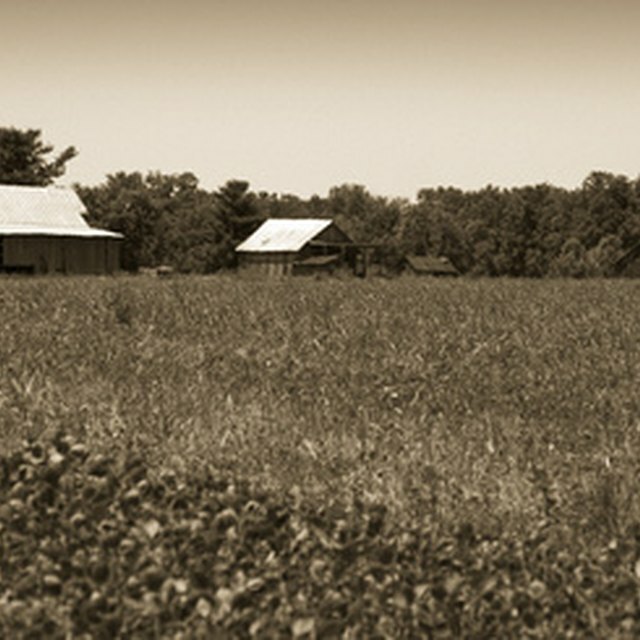 In some cases, owners lease land in exchange for a percentage of the crops produced.